Martyn Murray is a field biologist, author and conservationist living on the Isle of Lismore on the west coast of Scotland where he is setting up a nature centre. He has lived for many years in the wilds of Africa studying antelope society, behaviour and ecology, first in the Zambezi Valley and then in the plains and woodlands of the Serengeti whilst Nuffield Research Fellow at the University of Cambridge. These experiences led to his current work in conservation. Martyn’s concern is with the relationship between humans and wild nature which he sees as intensely complicated, controversial and yet vital to our common future. 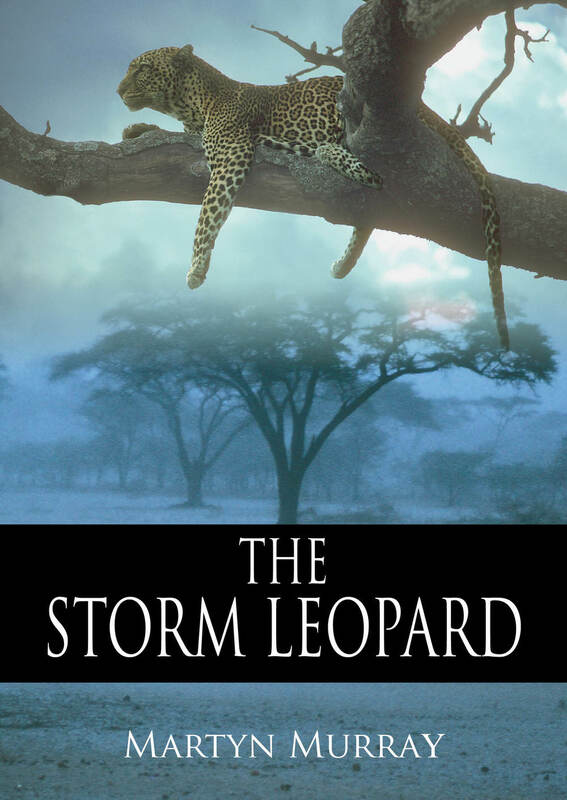 His passion is writing and he has distilled his thoughts into a debut adventure-travel book, The Storm Leopard, which is the story of a journey across Africa and into the heart of the environmental crisis. A second narrative travel book, A Wild Call, begins with the discovery of an old sailing boat in southern Ireland and the determination to sail to the remote islands of St Kilda. It is a quest for the keys to personal freedom from within a modern lifestyle. Some literary influences along the way are: Robert Burns, Bruce Chatwin, Charles Darwin, Joseph Conrad, Arthur Conan Doyle, Richard Feynman, Andrew Greig, Thomas Hardy, Sterling Hayden, Ernest Hemingway, Elspeth Huxley, D.H. Lawrence, Aldo Leopold, John Masters, Peter Matthiessen, John Muir, Eric Newby, Ben Okri, Robert Pirsig, Robert Louis Stevenson, Elizabeth Marshall Thomas, J.R.R. Tolkien, Laurens van der Post, Denys Watkin-Pitchford and Kenneth White. Martyn is currently writing a book on how to avoid the sixth extinction. 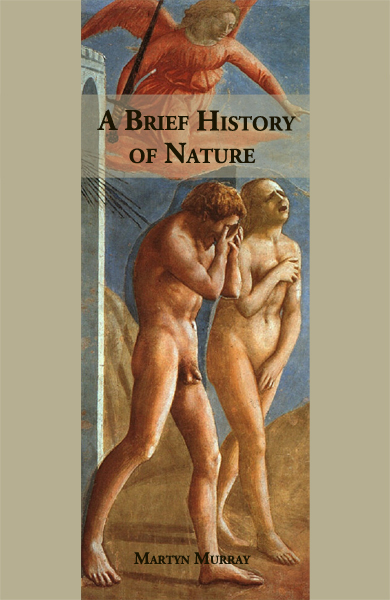 A Brief History of Nature is a call to arms based on analysis of human environmental behaviour over 70,000 years. There is nothing like it out there. Martyn Murray was finding modern life suffocating. Following years of soul searching, his father’s death triggered him into opening the old logbooks and charts to retrace the sailing trips they had once shared together. He determined to revisit those waters and bring home the freedom of the seas. After restoring an old ketch, he set off from Ireland, sailed to Scotland and spent his summer in Scotland’s Western Isles. His one goal was to reach St Kilda – the remotest part of the British Isles. What he came up against was far more testing and turbulent than the tides and gales of the North Atlantic. A Wild Call was published in UK on 10 October 2017. It may be purchased from Fernhurst Books, Amazon.co.uk and Amazon.com. Read the first advance review. I packed my bags and drove over the next morning, but Dad had gone on ahead of me. So I raised my glass alone that night and as I took the third swallow a conversation began. Sailing was our shared passion, our common language. It was what we yearned for when trapped in a dull meeting or stuck in frustrated traffic. Our family boat, Primrose, bore no resemblance to the designer craft that pack marinas today; she was a working Cornish vessel from the 1890s, a wooden-planked, heavy-beamed, deep-keeled, gaff-rigged cutter with a tree trunk for a mast. She carried a press of tanned canvas in a stiff breeze, leaning sedately with the weight of wind yet lifting to the surge of sea, bowsprit thrust forward over the waves. In my imagination her character matched those of my father and mother: like my father, load-bearing and warm hearted, dependable as Scottish oak; and like my mother, brave as the first English primrose and sunny as the spring itself. My brothers and I relished the daily fare of maritime adventure, one day exploring islands or anchorages, the next hunting for lobsters and shellfish, and the next inhaling the curiosity of seaside shops with their racks of comics and trays of sweets. It introduced a wild but disciplined freedom to our urban lives which I didn’t stop to think about at the time. Glass in hand I walked over to the bookcase in the hall. One of the shelves was packed with my father’s favourite sailing books. I chose half-a-dozen and took them up to bed. They sported pipe cleaners as page markers that smelt of tobacco and margins that were filled with handwritten notes in his familiar tight longhand that few could read, save my mother and the pharmacist who had received countless scrawled prescriptions from his surgery. I stayed up late that night engrossed by the world of sailing in a bygone age. Time passed in a quiet routine: by day I went for long walks and chatted to Mum, in the evenings I went to bed early and read about sailing. On one of those evenings, I began to realise that something in those books was speaking to me. Dissatisfaction with my life had whispered in my ear for years and recently had grown to a shout. I’d taken time off from work to push out in different directions but it hadn’t helped. In fact the more I tried to deal with it, the worse it had become. I felt trapped in my adult skin. Somewhere I had taken a wrong turn. I kept coming back to one book, Dream Ships by Maurice Griffiths. It had a blue woven cover and well-thumbed pages filled with descriptions of the author’s favourite small craft illustrated by sketches of their construction, deck layouts and accommodation. I marvelled at their swept lines and cosy cabins, imagined myself hauling up the sails, making voyages to distant lands and tying up at the quay in a foreign harbour. An idea began to form, strengthening as each day went by, of finding my own dream boat, bringing her home to Scotland and keeping her on a mooring in the west – in my father’s country – and if the chance should come, of making a voyage to St. Kilda, that tight cluster of rocky isles lying far out in the Atlantic Ocean beyond the sheltering wall of the Hebrides, where the roar of surf mingles with the seabirds’ cry, the sea mist rises to the falling smirr, and what lies beyond enters freely within. I stayed for three weeks and by the time I left, I knew exactly what I wanted. It was the sweetest dram I’ve ever had. The paradox of our relationship with nature, as oftentimes in our relationship with people, is that we end up killing the thing we love. We love nature and we destroy it. Humankind has lived within this tension, where the instinctive drive to take from nature is at war with the instinct to nourish it, for more than 70,000 years. But in today’s world, the unbalanced lifestyle of overkill is in the ascendancy and threatening all of nature. Is the sixth mass extinction unstoppable? Why does modern living bring out the ‘killer ape’? What broke the human-nature connection? Can we learn from our hunter-gatherer forbears? How do we bridge the deep divisions that frustrate nature conservation? In seeking to resolve the paradox driving the sixth extinction, A Brief History of Nature takes the reader on a journey from the minds of our distant ancestors to the artificial intelligence of the near future. A Brief History of Nature goes back to the beginning to find answers to the crisis of extinction that has overtaken the modern world. Writing will continue into mid 2019. Keep an eye on this page for updates. Please contact Martyn for proposals relating to publication and promotion (see CONTACT button at top of website).